Welcome to Kingsburg.the city that does not disappoint and neither does this home. 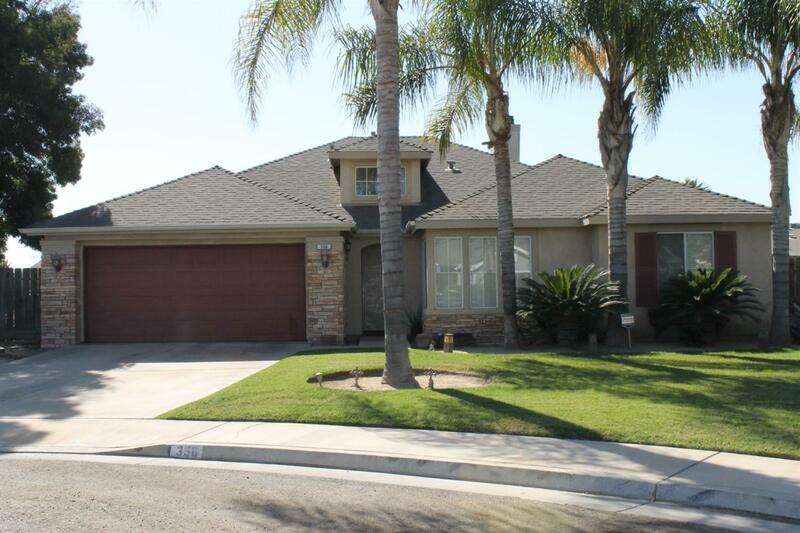 Located just minutes from Freeway 99 and in a cozy cul-de-sac this home has it all. This home features mature front yard landscaping to please your eyes with potential RV parking to the left of the home. The home is 1883 sq. ft. of efficiently laid out floor plan that makes living in this home a most pleasant relaxing experience. The master bedroom is located on the southeast side of the home and the three other rooms are located on the opposite end of the home on the Northwest side. Laminate flooring, tile countertops, custom interior paint, covered patio that extends the entire length of the home for all those backyard gatherings. Oversize yard has limitless potential at 13, 500 sq. ft. this lot is one of the biggest in the neighborhood, the design is perfect for multiple backyard theme.